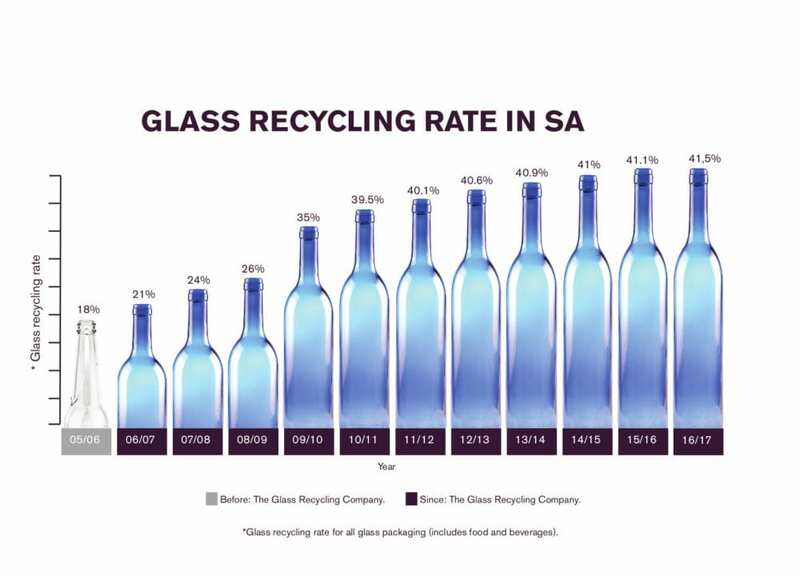 The Glass Recycling Company (TGRC) is South Africa’s official organisation for promoting glass recycling. Our core objective is to keep glass alive by promoting the practice of recycling and reusing this environmentally friendly packaging. Our strategic objectives also focus on the promotion of the reuse of returnable bottles; entrepreneur development and job creation; capacity building and development of synergies with all levels of Government as well as NGOs. TGRC was established following a Memorandum of Understanding signed in 2005, with the Department of Environmental Affairs. 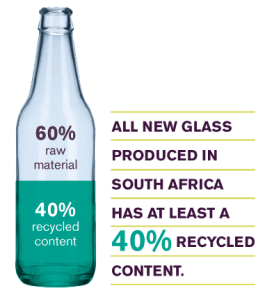 Our role is to increase glass reuse through returnable bottles and recycling in South Africa. Through the returnable system in conjunction with recycling, glass is the packaging that is most diverted from landfill in our country. 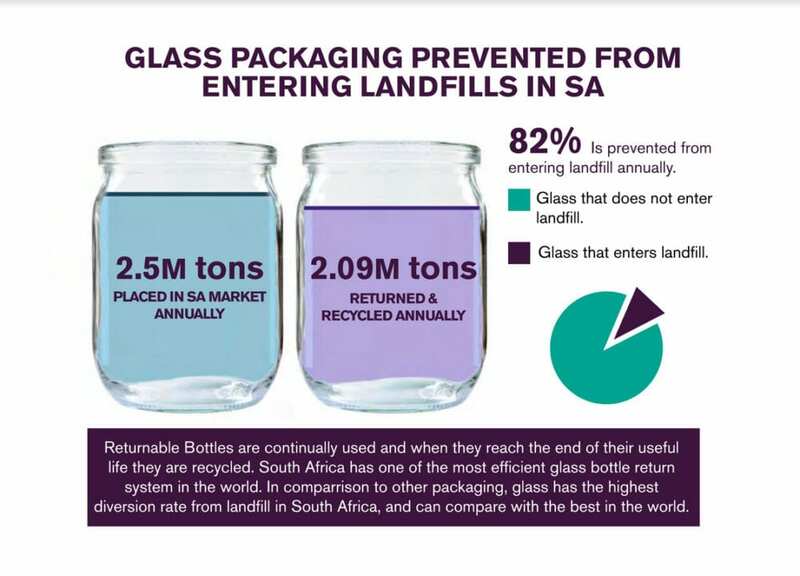 South Africa has one of the most sophisticated returnable systems in the world, by reusing glass packaging, carbon emissions are reduced significantly. In fact, through the glass recycled alone (without taking the CO2 reduction from the returnable system into account), we have prevented approximately 220 000 tons of CO2 emissions in the last year from being emitted in the last year. 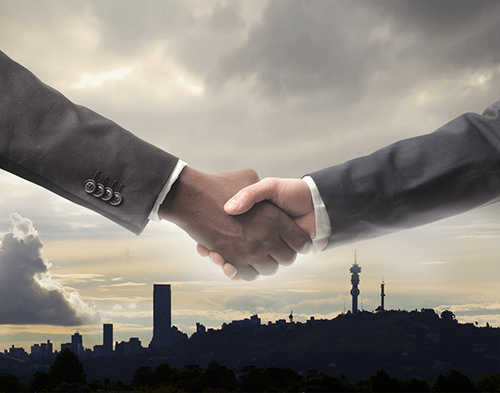 The Glass Recycling Company is committed to supporting employment equity and transformation. We support Government’s principles and guidelines for transformation and in addition we strive to develop more entrepreneurs in the formal and informal sectors by assisting in by creating income generating opportunities, skills transfer to Historically Disadvantaged South Africans and social upliftment.